Balkans: Will Macedonia Be Removed From The Map In 2018? The future looks very grim for Macedonia as the newly installed pro-Western coup “government” wastes no time in dismantling the country’s identity and selling out sovereignty to some of its hostile neighbors, both of which could have the cumulative effect of erasing what is constitutionally known as the Republic of Macedonia from the world map by sometime next year and replacing it with a domestically reconstituted “federalized” (internally partitioned) entity internationally recognized by a “politically correct” “compromise” moniker. The tiny South-Central Balkan country of the Republic of Macedonia is in dire straits right now, but most of Europe – let alone the rest of the world – has no idea that this is the case because the Mainstream Media narrative is that the state’s two-year-long political crisis was “resolved” when the patriotic VMRO-DPMNE government of Nikola Gruevski was replaced in a “constitutional/electoral coup” that followed Color Revolution and even Hybrid War provocations. The author wrote about this in a Sputnik piece at the time from May 2017 titled “The Macedonian Crisis Isn’t Over, and a Bigger Balkan One is Just Beginning”, and the reader should review that article and also skim through his Oriental Review & Sputnik archives on the topic if they’re not already familiar with the contextual backdrop of what happened and why. In a nutshell, the Republic of Macedonia was targeted for Hybrid War destabilization in order to offset Russia and China’s Balkan megaprojects of the Balkan Stream gas pipeline and Balkan Silk Road, respectively, that are expected to transit through the country, though with the former possibly being redirected to Bulgaria instead. In any case, a trumped-up “surveillance” scandal was used as the Color Revolution “trigger event” for attempting to coerce a Regime Tweak (political concessions), the failure of which forced the external conspirators and their internal Soros-backed SDSM “opposition” collaborators to move towards the next step of Regime Change, though eventually the decision was made for a Regime Reboot (constitutional change) to fundamentally cripple the country and forever prevent its key integration in the emerging Multipolar World Order. The point of this piece isn’t to chronicle all of the author’s previous analyses on the topic, nor to reiterate his explanation about what’s previously been happening and why, but to engage in forward-focused reporting and scenario forecasting in raising awareness about the fraught future that awaits the Republic of Macedonia. 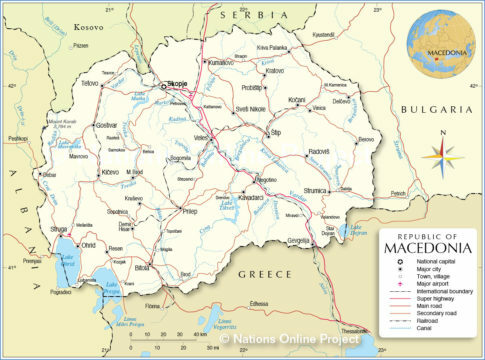 Read moreBalkans: Will Macedonia Be Removed From The Map In 2018? Serbia will not be amused, nor will Russia. The article points out that the EU is currently not able to receive new members, and therefore wants to create a customs union in the Balkans. The U.S. government has quietly spent millions of taxpayer dollars to destabilize the democratically elected, center-right government in Macedonia by colluding with leftwing billionaire philanthropist George Soros, records obtained by Judicial Watch show. Barack Obama’s U.S. Ambassador to Macedonia, Jess L. Baily, has worked behind the scenes with Soros’ Open Society Foundation to funnel large sums of American dollars for the cause, constituting an interference of the U.S. Ambassador in domestic political affairs in violation of the Vienna Convention on Diplomatic Relations. 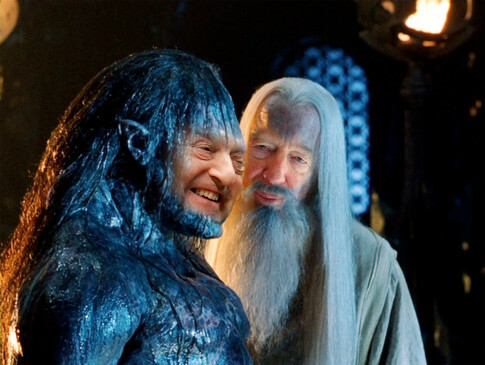 A new initiative, Stop Operation Soros (SOS), dedicated to countering the influence of American billionaire activist George Soros, has been launched in Macedonia. In a press conference on Tuesday, the founders of the group called on all “free-minded citizens,” regardless of ethnicity or religion, to join them in the “fight against one-mindedness in the civil sector, which is devised and led by George Soros,” the Vecer newspaper reported. The movement says it will first focus on uncovering ‘subversive’ activities by Soros-funded NGOs.